"Alexa, how is the shop?" — ask Amazon Alexa for the business insights you need. Start your full-feature 30-day free trial of Shopventory today! She’s not just a home assistant anymore! Connect Alexa to get your business updates. 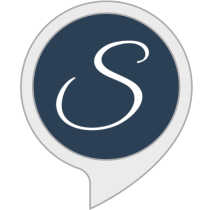 Install the Alexa app on your phone to get your Shopventory sales summaries on the go. Need to be specific? Get location-by-location sales updates. Just ask! QuickBooks is available as an optional add-on to customers on Starter, Standard and even Basic!